Sleeping Bear Press, 9781585360710, 40pp. Join authors Roland and Marie Smith and illustrator Michael Roydon as they take you on a journey across the Oregon Trail and through the picturesque Beaver State. 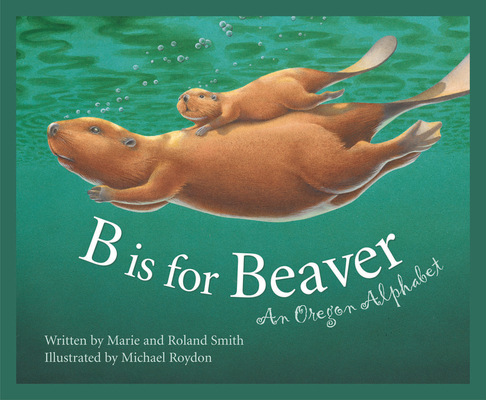 In "B is for Beaver," the Smiths' rhyming verse and sidebar expository text illuminate the wonders of Hell's Canyon, the lush lands of the Willamette Valley, and the surging seas of the neighboring Pacific Ocean. An effective educational tool inside the classroom and out, readers of all ages in the state of Oregon and beyond can embark on this journey any time they wish.